but never got the opportunity or had the time. It’s often tricky for adults to begin piano lessons, due to a myriad of reasons. 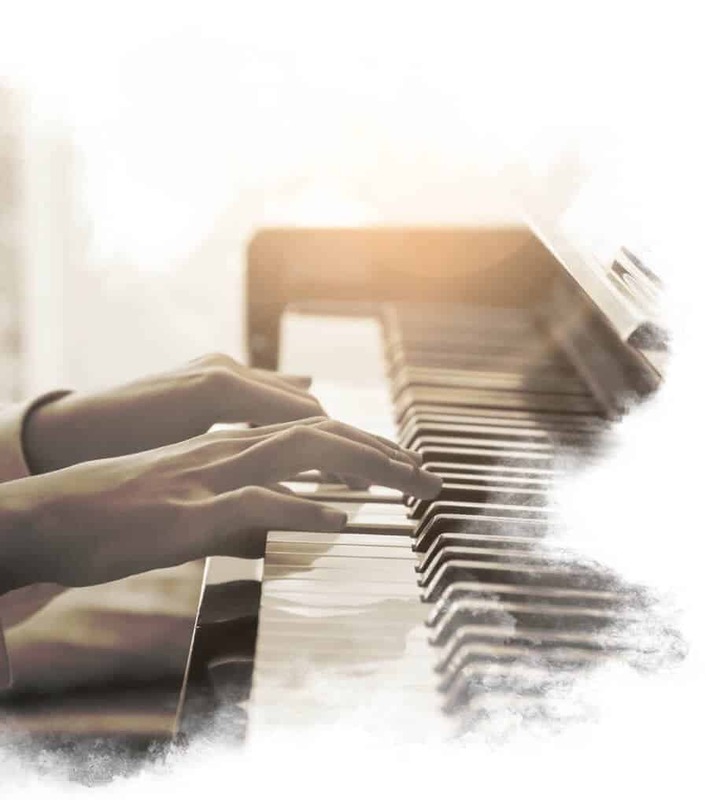 It might be time, finances, commitments, or embarrassment that sits as the excuse for the reluctance to learn how to play the piano, but we have a solution for that: learn piano online! Read below to find out why Piano in 21 Days can help you achieve your childhood dream, without any of the problems found in traditional piano lessons. The first benefit you’ll notice when you learn how to play the piano online is convenience. It not only increases your options when it comes to location but also the time of day. How can online piano lessons benefit from the time of day you ask? Well, simply put, there’s no time limit on your classes. You can start at 11 am, 1 pm, 3 pm, or as late as 10:30 pm! Because the lessons are online and video-based, it means that the only person who limits your lesson times is you. However, the convenience of being able to put your own time limits on the lessons is not the only benefit from piano lessons for adults. You’ll notice that another benefit is location. Being internet-based, you can learn anywhere. You’re not limited to a single city or suburb, and you don’t have to say goodbye to your favorite teacher if you move. You can get piano simulation software for your tablet, which will allow you to not only watch the videos anywhere but play your tunes as well! If you’re on vacation, you can learn how to play the piano at the beach. If it’s late and you’re stuck at the office, there’s no problem either. Of course, there’s no substitute to having a real piano to play on, but being able to take your lessons and a piano app anywhere certainly gives more flexibility to your options. Another benefit you might notice when you learn to play the piano online is time. We’re not referring to the previous point about choosing what time your lesson will be, but instead about how long your lesson lasts. In this modern day and age, time is expensive (or as they say, time is money). If you decide to learn piano online through Piano in 21 Days, not only can it save you money, but it can also save you time, allowing you to skip the bumper-to-bumper traffic and take your lessons any time of day to suit your schedule. 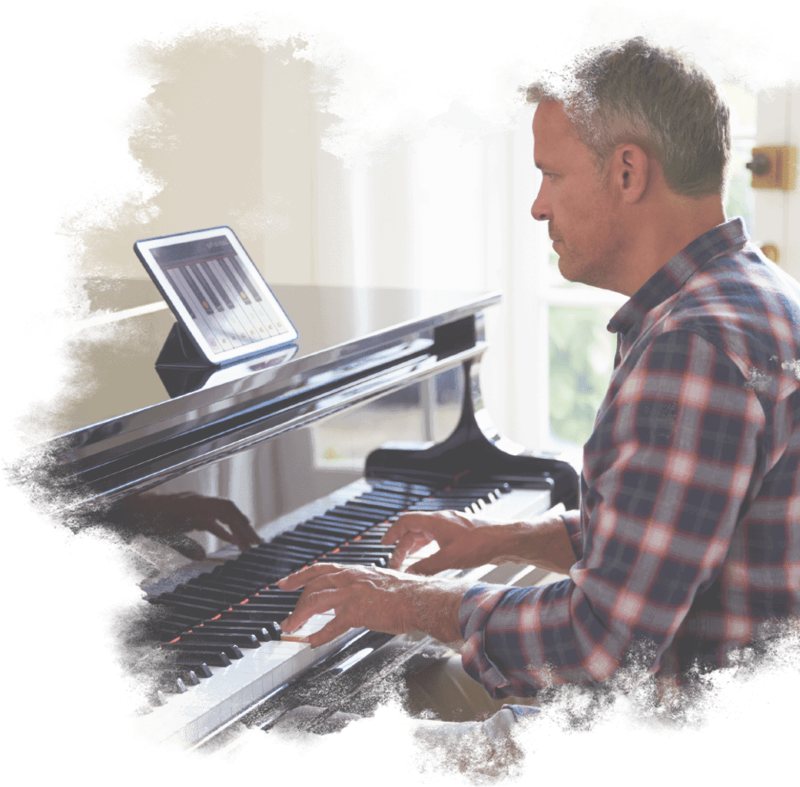 How can online piano lessons for adults save you time? The courses are segmented, rather than out of a textbook or through personal time scheduled with a teacher. Instead of having an hour-long course plan, you can watch a 15-minute video online. It’s a lot easier to find a 15-minute slot in your schedule several times per week, letting you advance further in your piano lessons than you would if you only had a 1-hour class, once a week. As an added benefit, you can progress through the lessons at your own pace. Many find this freedom helps them get through the coursework at a faster rate than one usually would with traditional piano lessons. You can save time with traveling, or rather the lack of it, as well. If you have traditional piano lessons, it means making a trip to and from your class, which could add anywhere from 10-minutes to an hour and a half to an already overly busy schedule. When you learn piano online, the time spent to get to your lesson is the walk to the nearest piano and few seconds to sit down. With the time you save, you can spend more time with your family or with tasks around the house that you just didn’t have time to do before when you were taking classes in person. When it comes to piano lessons for adults, finances are always a consideration. Being an adult means having a job and earning money, and then giving that money away to insurance companies, landlords, tuition, debt; you name it. So many students who fall in love with the piano let their lessons fall by the wayside in favor of more relevant responsibilities, and understandably so. However, if you decide to learn piano online, you can save money on expensive in-person lessons that are ill-fitting for your schedule. Online piano lessons through Piano in 21 Days are affordable and easy to learn from. Furthermore, you can progress at your own pace, allowing you to take as much or as little time as you want. With lesson videos, you can even go over past videos, backtracking on progress should you need to review something. In a traditional piano lesson, if you’re struggling with a concept, song, or melody line, your two choices are to either continue struggling and hope you get it or ask the teacher to explain it, which often comes with more struggle. 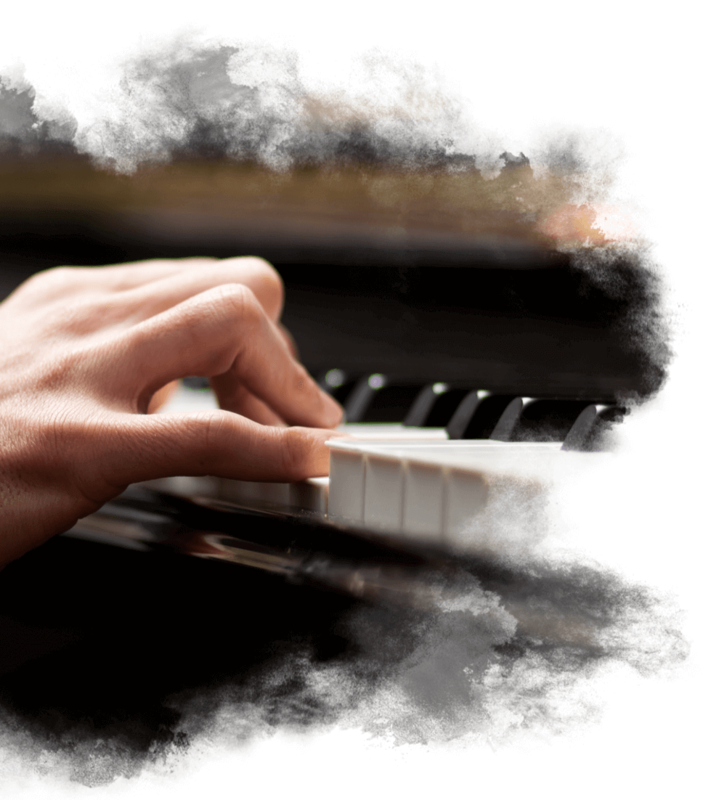 With online piano lessons, they’re all video-based, which means you can pause and practice, or you can jump back and learn the piece over and over until you understand it. When you learn piano online, there’s no limit on how many times you go over something, and you won’t get charged extra for that time. So, you can watch something once or watch it five times over, and your wallet will stay the same. You won’t have to pay for extra lessons or time spent with the teacher. You might find a community around what you do beneficial, allowing you to share your accomplishments and find inspiration from a piece another student has done. Learning online allows you to find other aspiring pianists with tastes similar to your own, and let friendships blossom. Problems and troubles arise during learning through traditional means, especially with piano lessons for adults. Maybe it’s a tricky technique, song, melody, or hand movement. Either way, if you’re on your own practicing, you might be left in a bit of a jam. However, if you’re part of an online piano community, things will be a lot easier for you. If you’re having problems with an arpeggio, you can ask other pianists if they’re struggling, and how to overcome it. Having a community to back you up is important, and you can even contact the teacher as well should a problem arise. So, then what’s the difference between learning online versus traditional lessons, or learning from books? Well, there are quite a few differences, some benefits for each technique, but when it comes to piano lessons for adults, online is the best way to learn the piano. Traditional lessons are useful for learners who require a teacher with credentials. Jacques from Piano in 21 Days is qualified to answer your questions, having been teaching students all over the world for years. Would you rather be taught by someone who has taught a few hundred students, or a few thousand of all different walks of life? 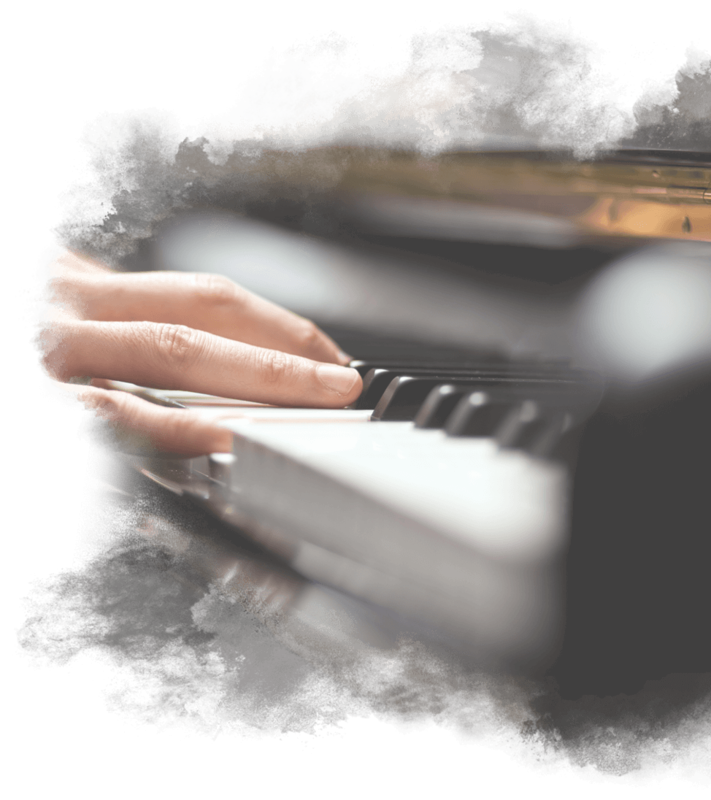 Independence is beneficial for so many reasons when it comes to online piano lessons. You are in charge of when you take your lessons, how long they last, what days it takes place. This helps you take full control over your schedule, fitting your lessons in around your work hours, mealtimes, and social activities, rather than trying to fit your schedule around the lessons. Overall, if you want to learn piano as an adult, then online piano lessons through Piano in 21 Days is the way to go. More structured traditional lessons might have suited you as a child, but in the hectic and busy lifestyle that many adults have, there’s not always enough time and money available to justify traditional lessons, and you won’t get as much benefit from learning in-person. 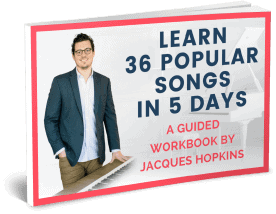 Sign up for the Piano In 21 Days newsletter today and get the latest information about Jacques’ lesson plan.